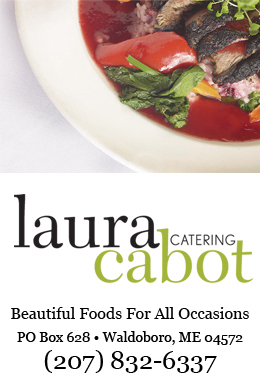 Welcome to the Laura Cabot Catering page. 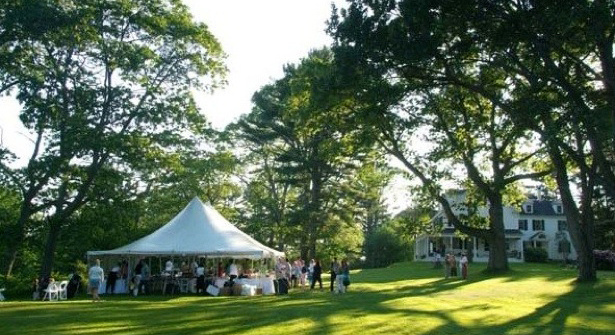 Below, find a few examples of our catering offerings along with information for planning your event. Gulf shrimp w/spicy cocktail sauce per Doz. Belgian Endive Stuffed with Smoked Salmon Mousse per Doz. Belgian Endive Stuffed with Herbed Cream Cheese per Doz. Stuffed Cherry Tomato with Smoked shrimp per Doz. Crepes Florentine Roulade per Doz. Beef tenderloin with horseradish cream in raddichio per Doz. Chicken tarragon salad on baguette per Doz. Crab Salad in Pastry Puffs per Doz. Virginia Ham with Current Jelly on tiny Sweet Potato Biscuits per Doz. Dolmas stuffed vine leaves per Doz. Vegetable terrine three layers of vegetable mousse en croute per Doz. Roasted spiced almonds per lb. Antipasto-Italian meats, sausage and cheeses compliment an array of olives, dolmas, roasted and pickled vegetables and caponata with rustic Italian breads. Composite display-Includes elements of each. Savor all of your favorites in one custom display. Empanadas-Vegetarian with South American style per Doz. Crab Stuffed Mushrooms per Doz. Mushrooms stuffed with pesto and Parmesan per Doz. Sausage Roll Puffs per Doz. Tiny Quiche bites, seafood or garden per Doz. Phyllo Triangles-spinach, feta and pine nuts per Doz. Chicken Satay Skewers with spicy peanut sauce per Doz. Angel on Horseback (scallop/bacon wraps) per Doz. Saga stuffed potato per Doz. Parmesan crostini with roasted peppers per Doz. Musard Vinaigrette Salad Dressing-a completely original recipe. It is a must try.